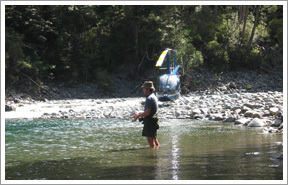 Hawke’s Bay’s rivers and streams are renown for excellent fresh water fishing. So if you’re into fishing and want the ultimate fishing experience try heli fishing. With Bay Heliwork’s pilots’ local knowledge and experience they will provide you with a unique fishing experience. 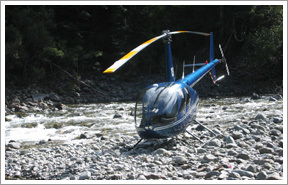 By helicopter charter they’ll take you into the native bush to pristine rivers and streams inaccessible by other means. Costs for you own heli-fishing charter are based on an hourly rate - $1,600/hour, 1-3 people.